Ethan is a man most people would trust with their lives. Member of the volunteer fire department, coach of the school baseball team. He seems to have everything, a wife who he still loves the same as the day he met her and a lovely son. But Ethan has a secret. A secret which will rock the whole community. I never really had been attracted to this book when seeing it around, but my sister recommended it as she knew I like Jodi Picoult’s books. I suppose I can see the similarities. Picoult’s books do tend to be about how events effect different people. I did feel as attached to the characters in this book though- there was only one I really felt for. The others I sympathised with but I didn’t feel that attached to. I did find it a bit more predictable than Picoult’s books too, there always seems to be a twist in the tail with Picoult, and there was none here. One thing I would have liked to have changed is to find out the outcome for Ethan. While the majority of the story wasn’t directly about him it felt unfinished not to know what happened with him. I enjoyed it well enough however, and if you want something easy then I’d recommend it, but if you’re looking for something to really get involved in don’t bother. 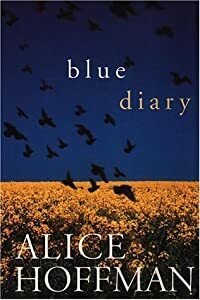 With The Blue Diary I was struck by the way the language drew an idyllic picture of life at the beginning of the book, even to the extent of it being like a soap, and the contrast of that with the chilling reality of the way things worked under the surface of the American dream.